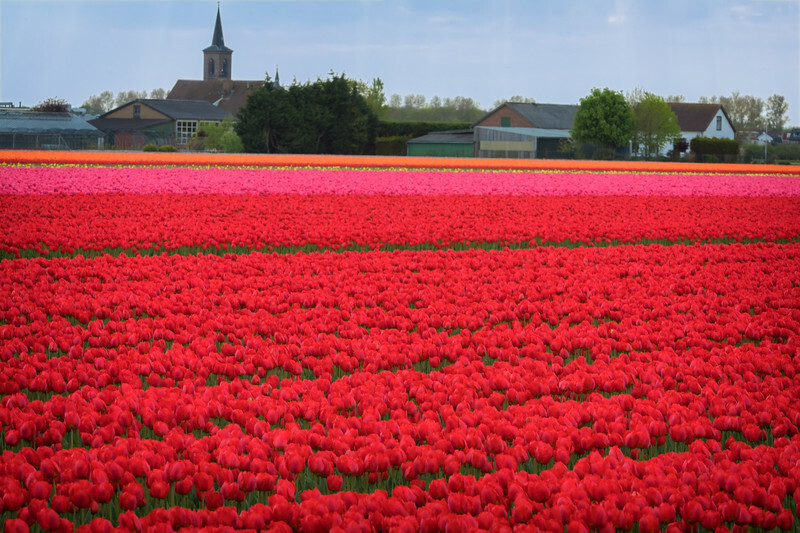 Commercial tulip growers plant millions of tulips in this region. You can ride a bicycle along trails, or walk right into the fields. It's quite a spectacle.